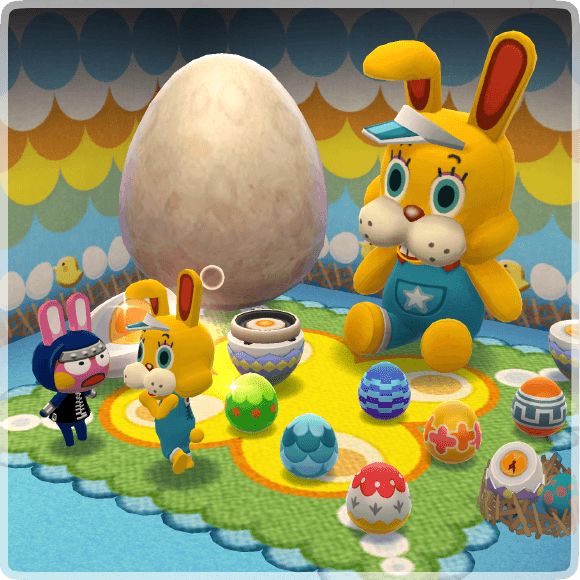 The Bunny Day Egg Hunt event has begun in Animal Crossing: Pocket Camp for iOS and Android! The event runs from April 12th to 23rd, 2019. Learn how to find Bunny-Day Eggs for crafting pretty painted eggs and Zipper items in our complete guide! In this event, you’ll be hunting down and collecting special Bunny-Day Eggs to craft event items. They’re a special item that appear in-game almost anywhere across the map during the event. The only locations you won’t find them at is your campsite, garden, and cabin — so that means you can even find them at the Marketplace or OK Motors! Sometimes you’ll see them in plain sight on the ground, while other times they are cleverly hidden behind obstructions or inside trees. Regardless of where it is, just tap the Bunny-Day Egg when you see one somewhere to have your character pick it up and add it to your collection! Bunny-Day Eggs appear at a rate of about one per every four minutes in a random location where they can spawn, which is basically anywhere besides your campsite, garden, and cabin. A hard limit of around 18 eggs present on the map at once is in place. This means that after all 18 have spawned, no more additional eggs will appear and they need to be collected for spawning to continue. For the most optimal egg collecting strategy, check on your game about once every hour and 15 minutes to ensure you don’t exceed the maximum limit of eggs on the map at once. Due to the limit, you shouldn’t intentionally wait for more than that time in hopes of ‘saving up’ because no more will spawn once the limit is reached. At select random times throughout the day, the Shovelstrike Quarry offers Bunny-Day Eggs as a reward!  You’ll know when you see the egg icon on the map. Enter for free by seeking help from five friends, or pay 20 Leaf Tickets to enter instantly. Periodically, the villagers at your campsite can be spoken with to receive friendship points, bells, or materials as a gift. During the event, campers will sometimes give Bunny-Day Eggs too alongside other gifts. Don’t forget to check on them often! 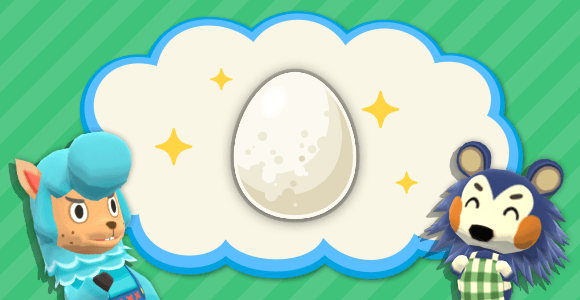 If you’re willing to open up your wallet, eggs can be purchased as part of a limited-time Leaf Ticket bundle. The Bunny-Day Egg Pack offers 100 Leaf Tickets and 20 Bunny-Day Eggs for $3.99 up to 5 times. Got some cute Bunny-Day Eggs in your inventory from collecting all day? It’s time to start crafting this event’s adorable Egg and Zipper themed items! Get started by tapping on the Event tab in the Craft menu at the bottom of your screen. Tap on an item to begin crafting it assuming you’ve collected enough eggs! Event Goals: Get Sakurapops and Free Leaf Tickets! Be sure to check out the Event Goals available for a limited time during the Bunny Day Egg Hunt event. By completing these goals, you can unlock important Sakurapop items for progress towards the Blooming Announcement Seasonal Event in April. Leaf Tickets are up for grabs in the goals too! Unlike some past Scavenger events, the eggs you collect from the quarry, villagers, or the paid Leaf Ticket bundles all count towards event goals! Previously, the eggs had to be picked up from the map to count.